On Sale Now! 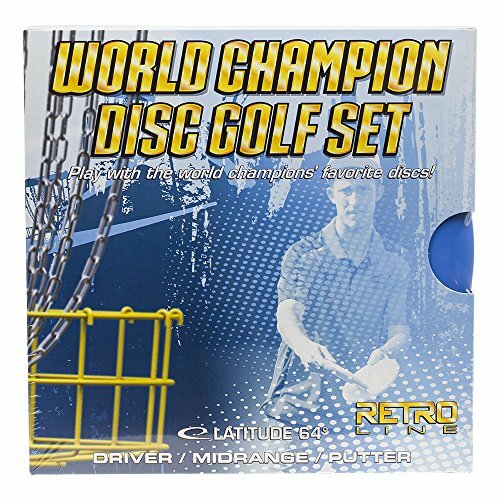 Save 5% on the Latitude 64 World Champion Retro Line Disc Golf Starter Set [Disc weights and colors may vary] by Latitude 64 at Scruffs Game. MPN: L64-SET-WC-RETRO. Hurry! Limited time offer. Offer valid only while supplies last. With the World Champion Disc Golf Starter Set from Latitude 64, you get the favorite discs from winners of the 2016 Disc Golf World Championships. 1 Misprinted Midrange - Absolutely Flawless Mold with Slight Misprint Stamp.